Which is Swedish for, ‘Happy Easter’! The sound of chocolate and candy being unwrapped around the office can already be heard and I am sure it will continue well into next week. Did you know that Swedish adults eat more candy than any other nation in the world per year? The average adult eats 17kgs a year and 1.7kgs of that is just over Easter. This year’s Easter Event starts today and runs until Tuesday the 3rd of April, thats 7 days of competitions, sales and of course two Easter themed mission packs. To participate it is super easy, all you need to do is click on the Easter banner in the launcher or website. This will open up the Event page which will give you all the information you need, it has links to all the competitions, the leaderboard, and you can also activate the missions from there as well! As well as the daily sales that we have on offer, two items have come out of Doc’s shed, the .22’ Plinkington’ and Snakebite bow, both in the ‘Winter Camo’ variation. So for example my Hunter Score is 13820 which would mean I am in the ‘Advanced’ tier and only competing against others who are in that tier in the competitions. 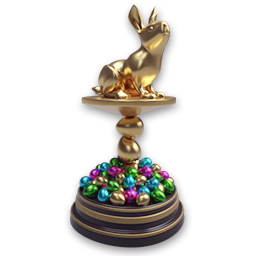 Each competition gives you the chance to win trophies and em$, and just for completing them you are awarded with 100 Egg$. 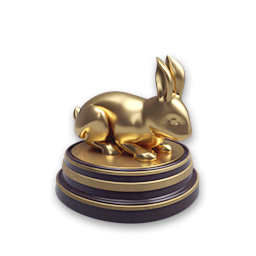 Here are the nice new trophies that you can win in the competitions. Completing any competition gives you 100 Egg$. 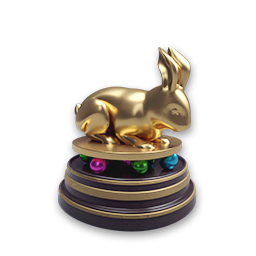 Each animal harvested during the event gives you 5 Egg$, but any that are heart shot reward you 10 Egg$. On top of this, any of the Rabbit species you harvest automatically give you 10 egg$. Pick up any Easter Egg collectables. Bronze ones are worth 5 Egg$, Silver 10 Egg$ and Gold a massive 25 Egg$. 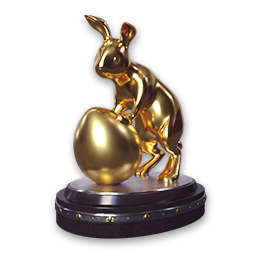 Completing the mission pack called ‘Easter 2018: A Hunter’s Easter Egg Hunt’ also give you 100 Egg$. There are two mission packs this year that you can complete. 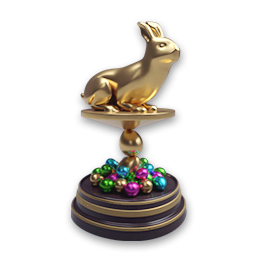 The first mission pack is called ‘Easter Orchestra 2018: The Encore’ and will reward a trophy and a deployable hunting tower. 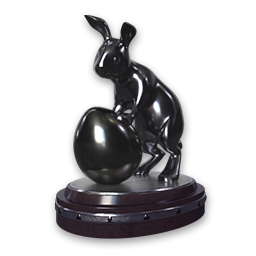 The second mission pack called ‘Easter 2018: A Hunter’s Easter Egg Hunt’ will reward 100 Egg$ upon completion and is designed for the more competitive hunter to take advantage of. 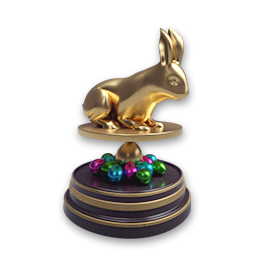 Here is the lovely trophy you can get your hands on. Good luck to all, I am sure it is going to be an intense week! Now that the Piccabeen Bay spotting and scoring issues have been fixed we have started a new season. A clean slate means that elusive 1st place spot has never looked more achievable! 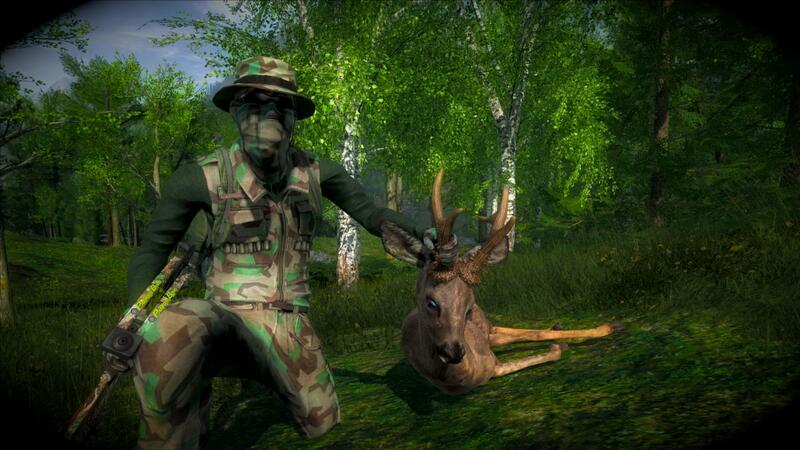 Congrats to all the people that placed last season, there were some amazing animals shot and I am looking forward to seeing how this season shapes up! Because it is Easter it is a short week here in Sweden, which will mean that any tickets you might submit to support could take a few extra days to get a response back. We will still be monitoring the forums and social media to make sure game play is running smoothly. From now on you can expect the Status Updates to come out every Wednesday. This lines up better with our release schedule and also gives us a chance to give you the heads up about any events that might be starting the following weekend. 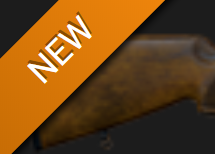 Next week we are releasing another new weapon. The picture should give you a little teaser/clue as to what it might be, I am sure many of you will be jumping for joy! Is it single player, multiplayer or both? All information you think might help is appreciated and we would love you to post in the thread mentioned above. This competition has become so popular that we have decided to make it a permanent feature and is here to stay for the foreseeable future! 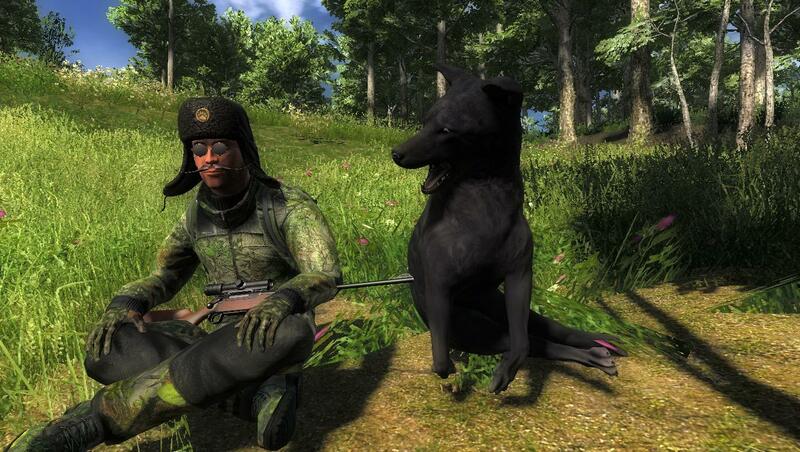 And the ‘Rare of the Week’ goes to Nathan112244 for this Melanistic Coyote which scored 43.224. A very sought after rare, congratulations! This week’s free rotation, which changes tomorrow, lets our guest hunters test their skills against Cottontail Rabbits and Snowshoe Hare. Nice and Easter themed, to keep everyone in the holiday spirit! On behalf of all the team here at EW, we wish you all a happy and safe Easter.